When talking about nootropics, it’s simply impossible to miss the mention of acetylcholine or the cholinergic system. In fact, most nootropics specifically target the cholinergic system and glutamatergic system to enhance cognitive function while reducing the risk of side effects, tolerance as well as dependence. Just like acetylcholine, dopamine is yet another nootropic neurotransmitter that plays an important role in cognitive function. There are many different types of supplements that help in activating and modulating dopamine along with its receptors to enhance memory. Moreover, dopamine supplements tend to improve learning as well as focus. How Is Dopamine Associated With Addiction? Dopamine is considered extremely important to perform different types of cognitive tasks. In fact, it is usually called the “reward” neurotransmitter because it lets people enjoy things by getting reward through stimuli. 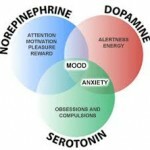 And this perfectly explains why, dopamine is known for its strong and sought-after effects. 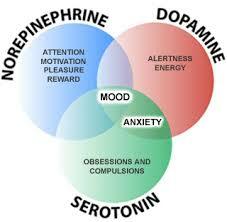 But, at the same time, this reward system also makes dopamine a potential target for addiction. This means, any substance with a high affinity with your dopamine system has greater chances of becoming addictive. Many ADHD patients seek the help of nootropics such as racetams to avoid the many side effects as well as health risks associated with ADHD drugs. Studies have shown that nootropics like Piracetam, which target the cholinergic system, may benefit people suffering from ADHD. However, it is important to note that this switch from ADHD drugs to racetams can’t solve the problem permanently. The simple reason behind this is the fact that ADHD isn’t a malfunction in the cholinergic system but it actually affects the dopaminergic system. It is generally believed that people experiencing the condition have low dopaminergic activity. Many stimulant drugs such as amphetamines can help in strengthening dopamine activity in the brain, thereby reducing or alleviating ADHD effects. On the contrary, amphetamines also serve as powerful stimulants for people who don’t suffer from this condition. You may have heard college students trying to use these drugs to enhance productivity, which is what gives them their popular name i.e. smart drugs. It’s important to understand that the main difference between smart drugs and nootropics is that the latter carry reduced addiction risks. This is why; dopamine-enhancing drugs don’t usually make it to the nootropics family. In fact, most stimulants tend to increase dopamine levels, thereby enhancing particular areas of cognitive function. When using these stimulants for enhancing memory, be careful and avoid long-term use. Mucuna Pruriens is a herbal extract that is extremely powerful and may serve as an effective nootropic. It contains L-Dopa, which is actually a precursor to dopamine. If you have low motivation and/or libido, you may have low levels of dopamine. And by using this herb as a nootropic, you can increase your dopamine levels. Even if you have normal dopamine levels, increasing L-dopa can still help with cognition. Sulbutiamine is a synthetic vitamin derivative that carries mild stimulating effects. This substance has a different method of action than typical ampakines and racetams. The primary method of action of sulbutiamine is believed to be party involved with dopamine. The supplement enhances the density of dopamine receptors, known as D1 and D2. Although it is safer than typical “smart drugs”, this supplement may have some form of addictive potential. Tolerance buildup is yet another effect associated with sulbutiamine use.